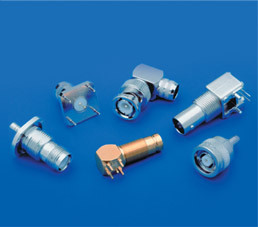 Amphenol® RF and Amphenol® Connex Solutions From NTE Electronics, Inc.
NTE is proud to carry the Amphenol® Connex line of RF connectors as well as the standard Amphenol® RF line, allowing NTE to handle virtually all of your connector needs. Amphenol® RF specializes in high frequency and MIL-spec parts, while Amphenol® Connex prides itself on its expansive product line, excellent stock position, and aggressive price points. You'll have the best of both worlds! !